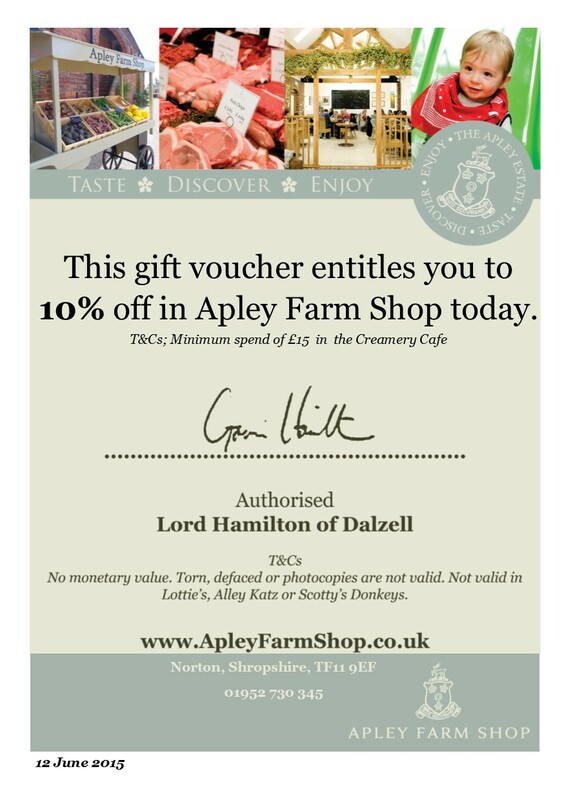 At Apley Farm Shop, we’re offering a super weekday (Mon-Thurs) shop promotion of 10% off for Playbarn & Café customers. 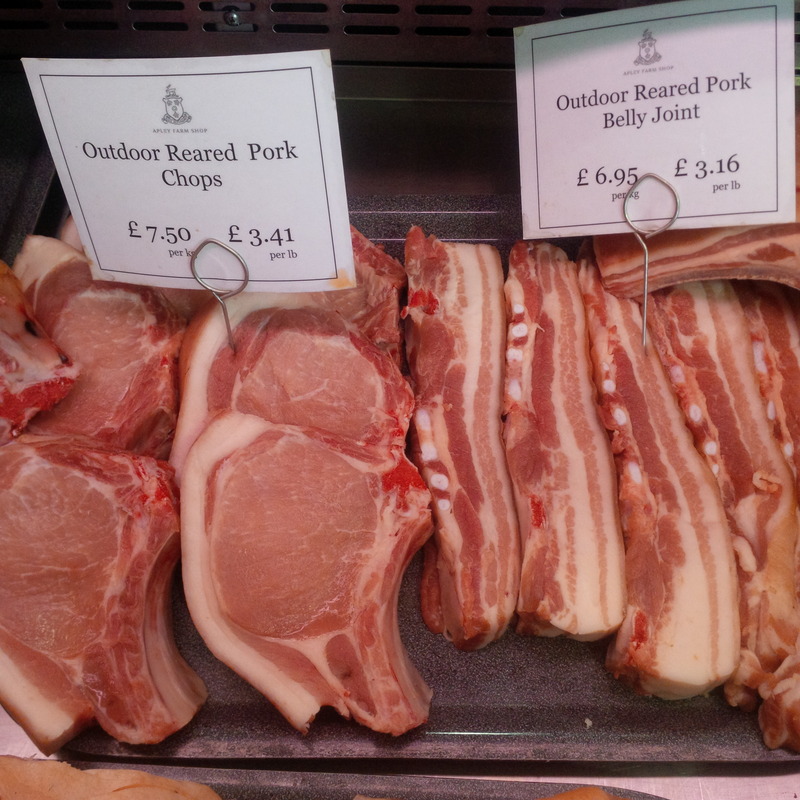 Spend over £15 in the Café & over £10 in the Playbarn in order to get 10% off in the Farm Shop. Valid until 30 June 2015. T&C apply. More on that here tomorrow. 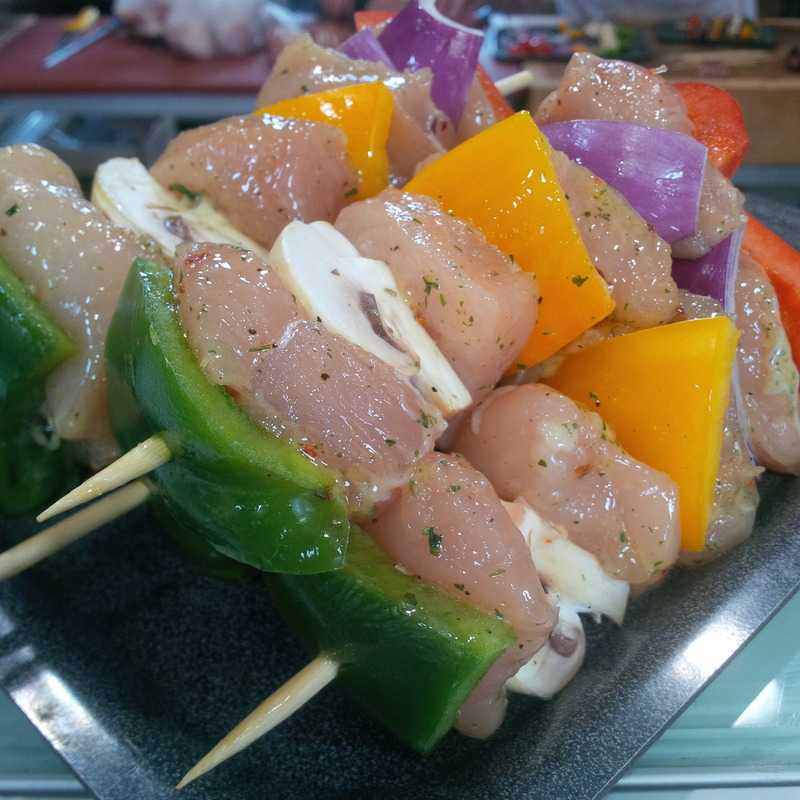 In the meantime, Gavin’s just sent me these photos of some of what’s available on our in-house butcher counter – we had pork green Thai curry this evening & will enjoy the chicken kebabs on Thursday. 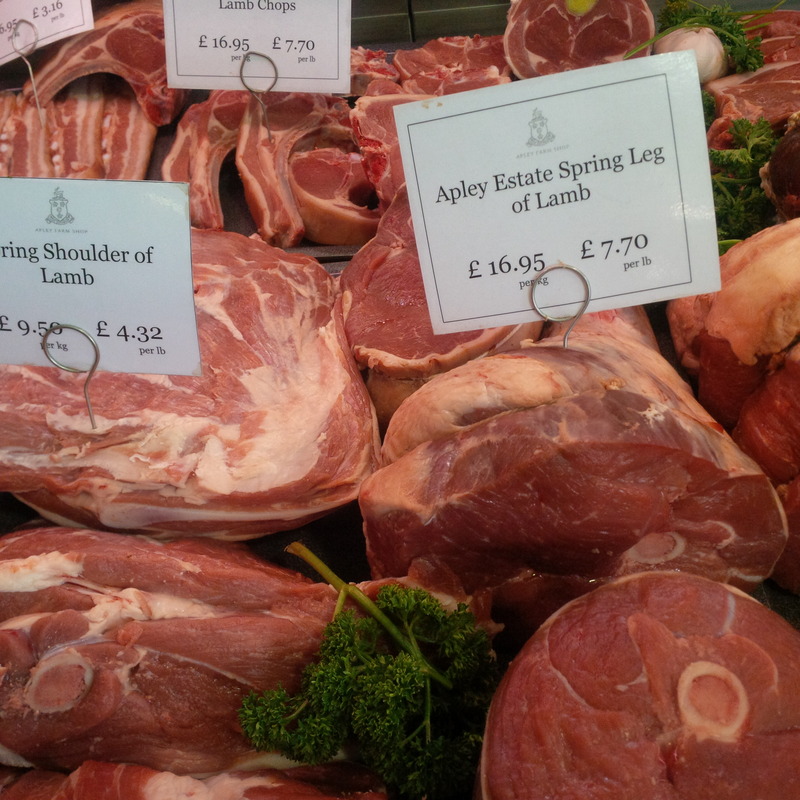 The lamb is from Apley tenant farmer Henry Yates, not far away near Bridgnorth.